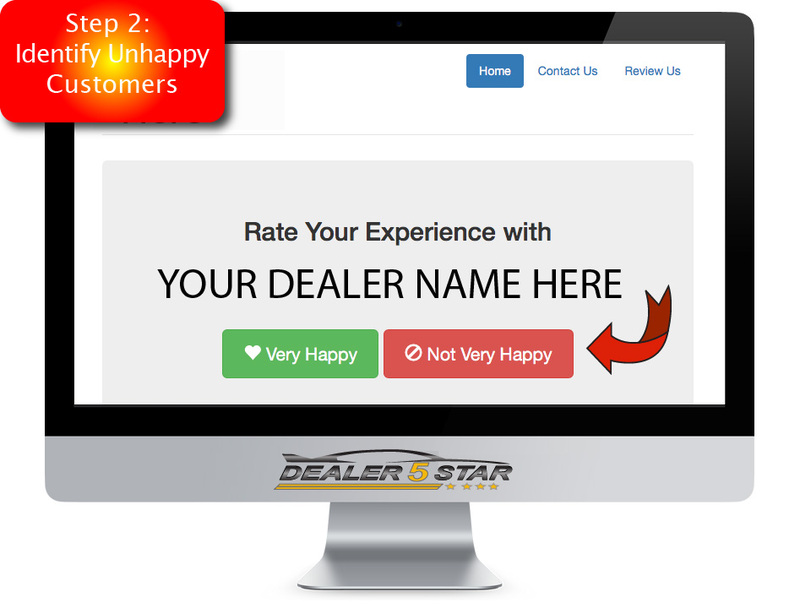 Dealers Get Great Ratings By Helping Unhappy Customers. and happy customers give postive reviews. we went from three crappy reviews to over 400 five star reviews in just three months. 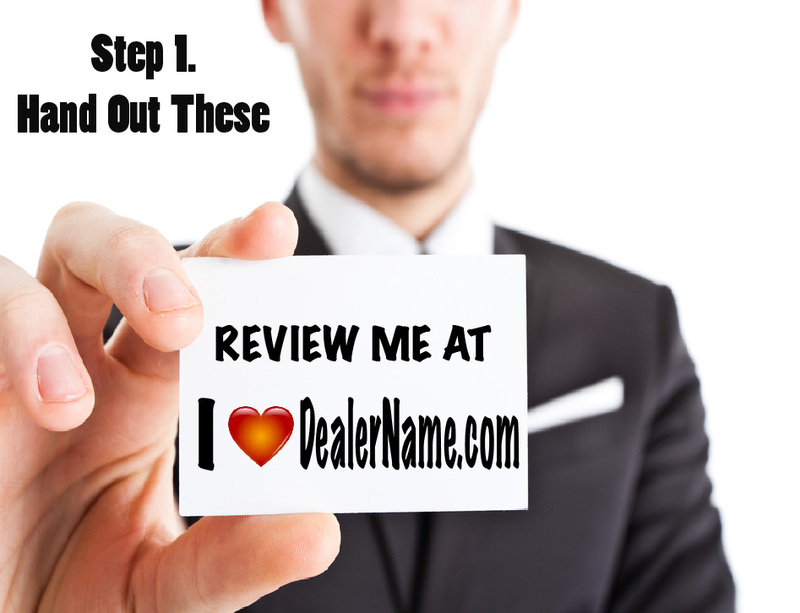 Dealer5Star.com really works." - Scott from Jacksonville Florida. As part of your subscriptionm you are provided a special website to help unhappy customers get to the right person, and happy customers give you 5-Star ratings. When a customer desperately needs your attention, it is important that you make it easy for them to get in touch. Otherwise, they WILL give you a bad review. Most bad reviews come from frustrated customers. 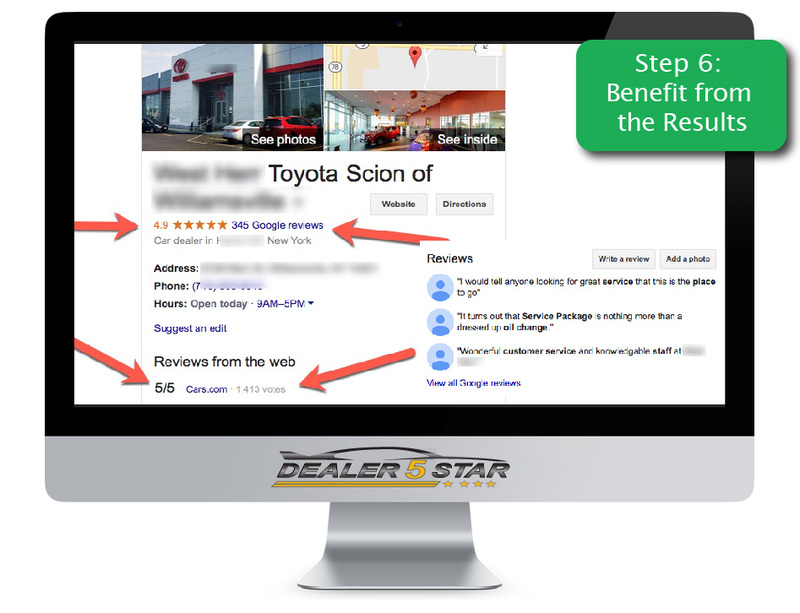 Dealer5Star.com will reorder the review links to encourage reviewers to give ratings on sites you need most. It also helps them find the review sites they like to use. Allows your sales consultants to help customers give reviews right in the showroom, right from the buyer's smartphone or tablet. 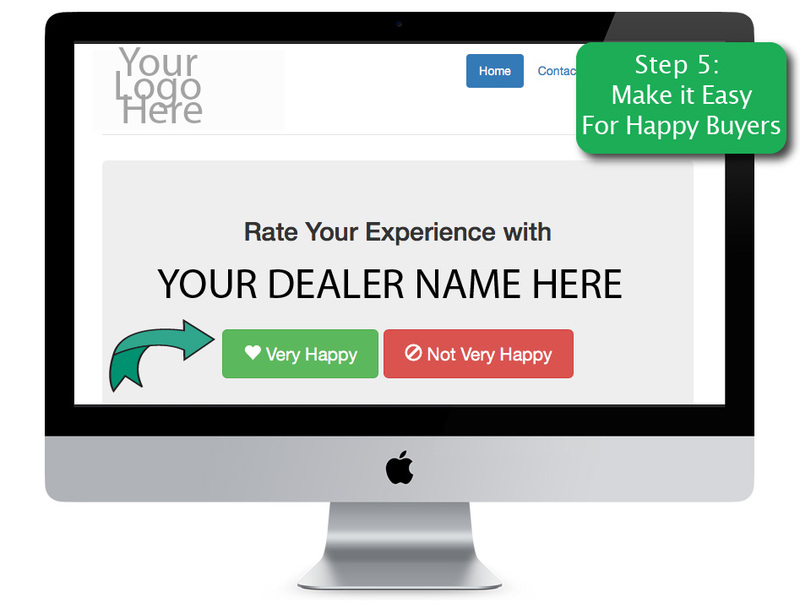 Sometimes it's just difficult to get customers to review your dealership. Make it easy by pointing them to a website will all the links in one place. 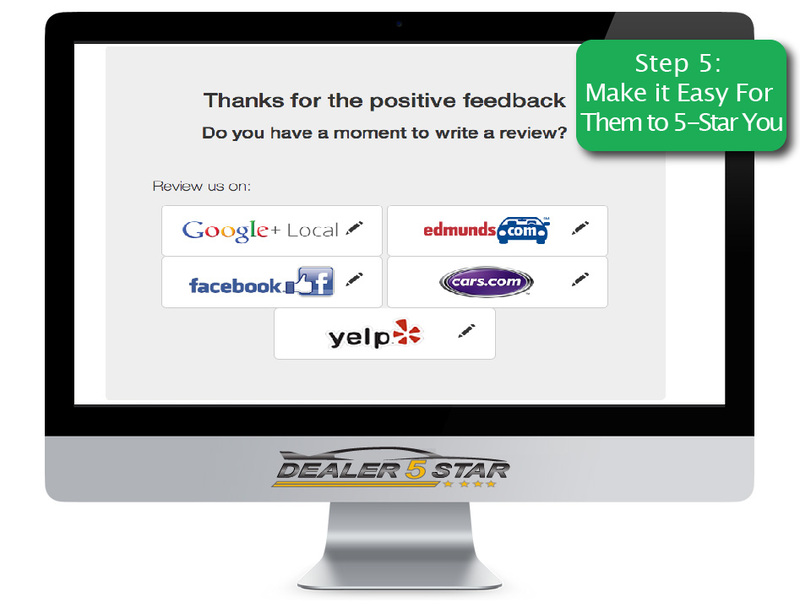 Comes with postcard templates, video instructions and an action plan to get the 5-star reviews you and your company deserve.